The Dungeons and Dragons: Treasures of Icewind Dale slot is a casino machine designed by the well-known IGT developer. This pokie possesses a classic 5 reel greed with 30 pay lines. Read all the terms and conditions because some countries are not allowed to access it. Get a quick look at the “Paytable” window to see all symbols, features, and prizes. To get things started, gamblers need to adjust some of the standard betting parameters first. To adjust stakes, a player can click on the “Spin” button that can be found in the center of the main menu. There is also an “Autoplay” mark that can be used for setting the number of consecutive spins for the smoother gaming experience. The number of lines is fixed, but a wager can be shifted by pressing left and right arrows. Total bet will be determined by the stake multiplied by the line number. In the main bar, the total credit amount will be shown all the time and wins will be calculated looking from the left to the right side of a playing screen. Players can find lots of different symbols carrying various values and prizes. The most wanted signs are definitively hero symbols. Besides them, it is always good to find extra cards that can bring a gambler big cash stack in just a few mouse clicks. Dungeon and Dragon icons are wild cards – they can substitute for all heroes and provide much more winning chances. Another benefit from gaining this symbol is that if it is found on the fifth reel, a gambler will gain a die that will be dealt with the closest hero and when some of the heroes obtain 3 dices, this icon will be transformed into the wild for even more scoring possibilities. The Scatter icon is a special symbol that can be used for gaining extra rounds. The free spin feature can only be triggered if gamblers get 3 or more scatter icons on reels 2, 3 and 4 in the same time. When this condition is fulfilled, a gambler can start the feature. For collecting 3 extra cards, he/she will be rewarded with 15 free spins. If bettors find 3 more scatter cards while bonus turns are on, they will get additional 15 rounds. All wins will be transferred into the total credit balance once all spins are used. Every gambler has its own betting strategy but they all rely on same basic methods that can be used in the Dungeons and Dragons: Treasures of Icewind Dale online casino slot as well. For the best scoring possibilities, bettors can trigger free rounds more often. This will allow them to play more and by doing that, increase winning chances dramatically. The more spins gamblers do, the higher are the odds that a jackpot combination will show up while they play free Dungeons and Dragons: Treasures of Icewind Dale casino slot machine. The main condition to get the biggest jackpot prize is to set the stakes to the maximum amount. Try to find symbols with strongest values. Another benefit from free rounds is that a gambler will spin them with a multiplier times 3. And to maximize the scoring possibilities, a gambler can turn all 4 heroes into wilds by giving them 3 dices. 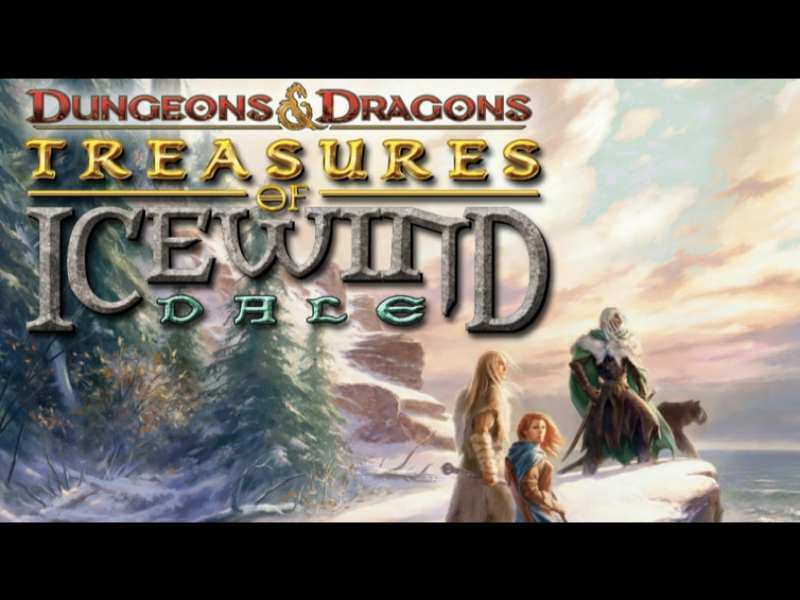 The Dungeons and Dragons: Treasures of Icewind Dale online possess the theoretical return to a player of 96.52%. The maximum jackpot amount that can be obtained from a single spin is 500$ with the possibility to earn even more with the right betting strategy. This is a slot machine that can be mastered by any gambler. Winnings will be determined totally randomly with same odds for every better regardless of previous scores and outcomes. For bettors who search for games with lots of free turns this slot might do the trick because free rounds can be re-triggered multiple times and the maximum number of extra spins is 225 which is more than enough to get a quick free real cash stack. 0 responses to "Dungeons And Dragons: Treasures Of Icewind Dale Slot"
3 How to Score Big?